We like to go to Mills Reef on a sunny day so we can sit outside and look out over the gardens and green space. 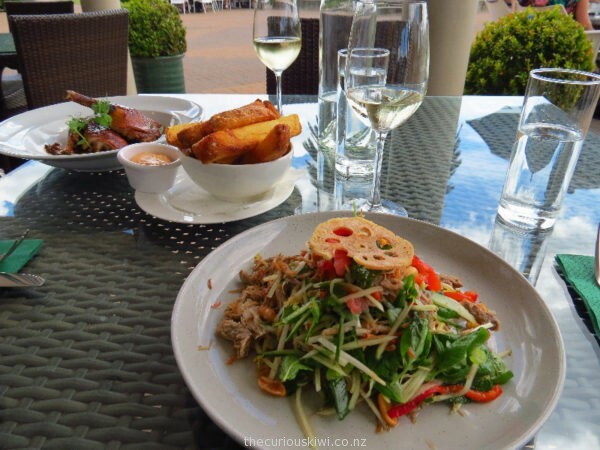 On our most recent visit we especially liked the food – a coconut braised Thai duck salad, a roasted duck dish with chunky chips, followed by a dessert platter for two. 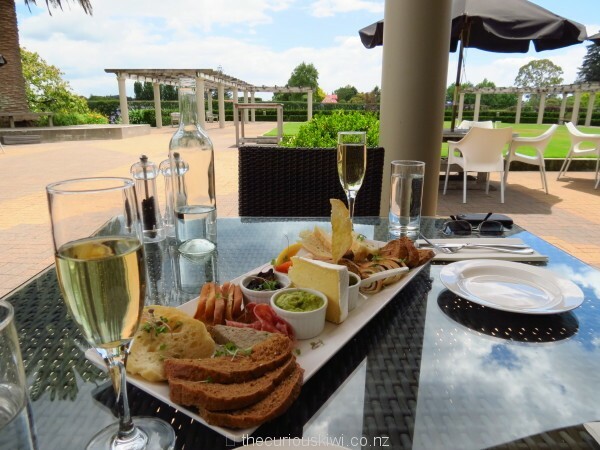 So if you like visiting wineries and find yourself in the Tauranga area we recommend Mills Reef Winery in Bethlehem. If you’re planning a special occasion and want a memorable arrival you can touchdown in a helicopter to combine a winery visit with a scenic flight. 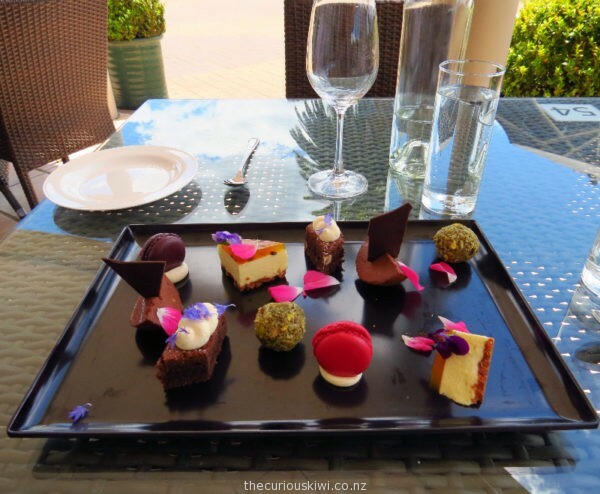 This entry was posted in Eats & Drinks, Mt Maunganui / Tauranga / Whakatane and tagged NZ wine by thecuriouskiwi. Bookmark the permalink.